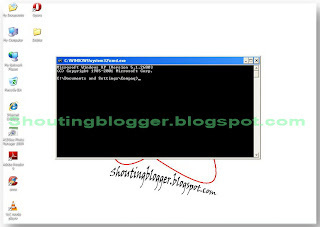 Most of the Computer users face problem with deleting some undeletable files and folder from computer , Its To easy to delete or remove undeletable File and undeletable folder with Windows Functions overriding Before begin with deleting file or folder steps .You should know some basics about deleting undeletable file and folder , to get rid of windows malfunctioning . Why you should not always delete undeletable File or folder. Its not necessary that undeletable files or folder is always a virus and malware , because some undeletable files and folder are locked by the windows to make window work properly and used by windows . Why you can't delete some any file or folder? 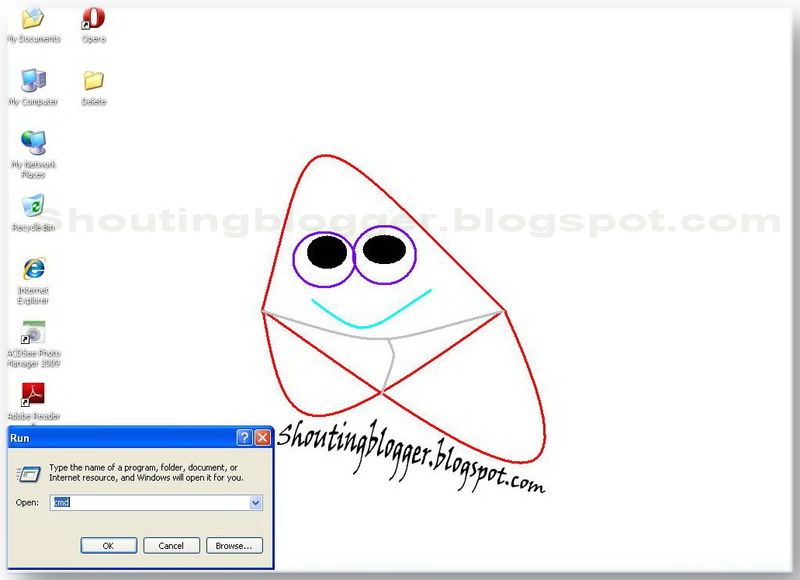 File or folder is being used by program , To delete file or folder being used by some software , you must close that program and proceed with deleting . File or folder is being used by person . its means the file you were trying to delete is used by some program or Opened in another account made on your computer . Cannot delete " folder or file " . Cannot find the specified file or folder . make sure you specify the correct path and file name .Cannot read from source file or disk . Cannot delete " filename ": it is being used by another person or program.Close any programs that might be using file and try again . Cannot delete " file or folder ": File or folder no longer exist. 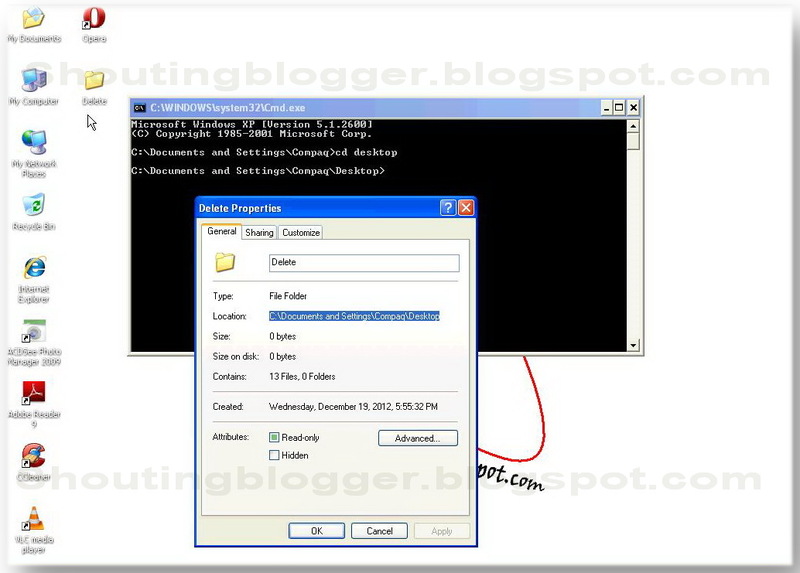 How can I find whether Undeletable file or folder is virus? There is no exact process to find out whether undeletable file or folder is malware or virus , but mostly File under temporary file or folder using heavy memory and high cpu usage may be malware or virus . you can check a file using high memory or cpu usage by monitoring memory usage or Cpu usage via task manager (open task manager by pressing ctrl+alt+ delete , Click on Processes tab , monitoring memory usage under Processes ) .Before deleting any file or folder , make sure you were not deleting a file or folder which is required for windows to work properly , otherwise on deleting file used by window , your window will start malfunctioning .So be sure before deleting any undeletable file or folder .Let's start with removing undeletable file and Folder . 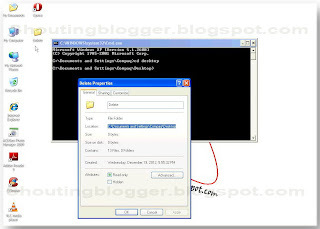 By using this method you can delete any File or folder from your computer ,Even locked files being used by windows . 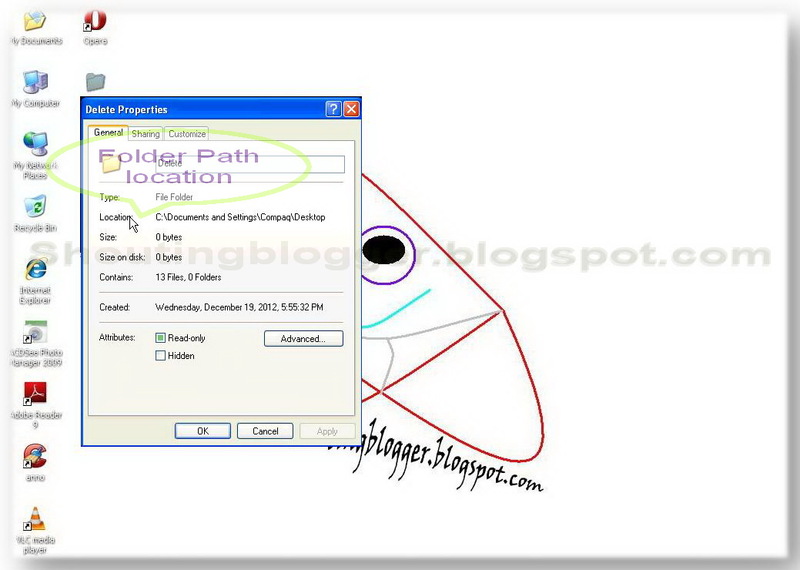 Step 1 : Right click on Folder or file , Go to property ( Figure 1.a ), Record its exact location ( Figure 1.b ) shown under Folder or file property , Because we need exact path of folder or file to delete ,Make sure to right it down full path of file or folder on copy or remember full path . ( Figure 1.b ) . Step 3 : Now using command Prompt ( Dos ) , Go to destination folder or file Using CD commands .and leave your dos window open . For example if your undeletable folder is on desktop then Open dos >> type >> " Cd Desktop " without quotes . (Refer Figure 1.1 ) . Congrats ! Your undeletable files have been removed , now you can remove folder selecting it to delete as Usual . 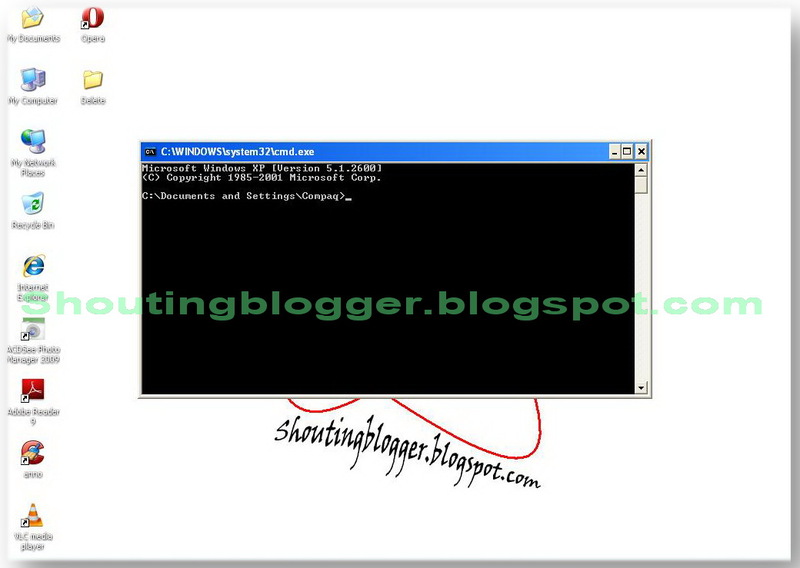 If you don't know basics of dos then you must watch Below given video to easy understand what we did to delete undeletable folder .